Everyone loves ramen, but not as much as the Japanese. I’ve been told that if you want to know how good a ramen place is, you should take a look at the line outside. One such establishment that has consistent lines outside their restaurants is Ichiran Ramen, considered by many as one of Japan’s best ramen places. Ichiran Ramen is a Japanese chain specializing in tonkotsu ramen since 1960. Originally called Futaba Ramen, Ichiran Ramen started as a single stall in Fukuoka. Today, Ichiran Ramen has 70 locations all across Japan. 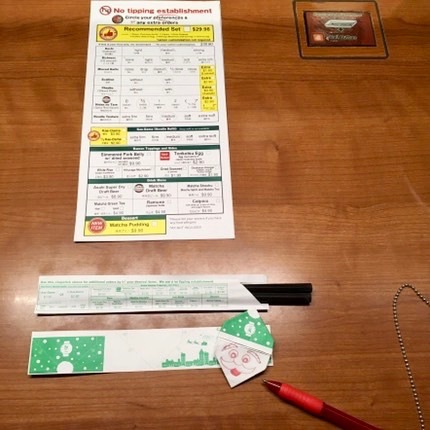 With a very limited menu, every visit to Ichiran Ramen starts with getting a ticket from the machine. You choose the ramen, then add extras like pork, egg and drinks. You can also order extra tonkotsu noodles, if you’d like. Customize your bowl of ramen by choosing your flavour strength (weak, medium or strong), richness (none, light, medium, rich or ultra rich), how much garlic (none, a little, regular, half a clove or one clove), what kind of green onion (none, white green onion, or green onion), with or without sliced pork, how spicy you’d like it (not spicy, half spicy, regular spicy, double spice or super spicy up to 10, any spicier than 10 is an additional Y120 charge). You can also choose the tonkotsu noodle’s texture (extra firm, firm, medium, soft or extra soft). Freshly prepared tonkotsu ramen noodles, savoury pork broth and their signature red spice is what put Ichiran Ramen on the map. 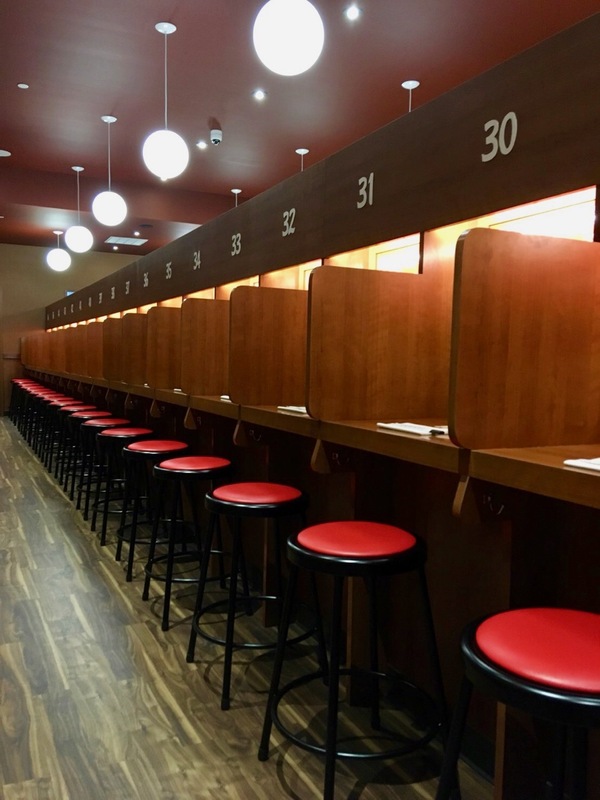 Most Ichiran Ramen locations are intimate affairs, with little booths where you can have your bowl of ramen in peace. You get to choose where you sit from available stalls, indicated in green at the counter booth sitting chart. Each stall has a little divider for privacy but if you have company, the dividers collapse so that you can enjoy the meal together. Press the call button to let your server know when you’re ready with your order and in a few minutes you will be served with your bowl of Ichiran Ramen. 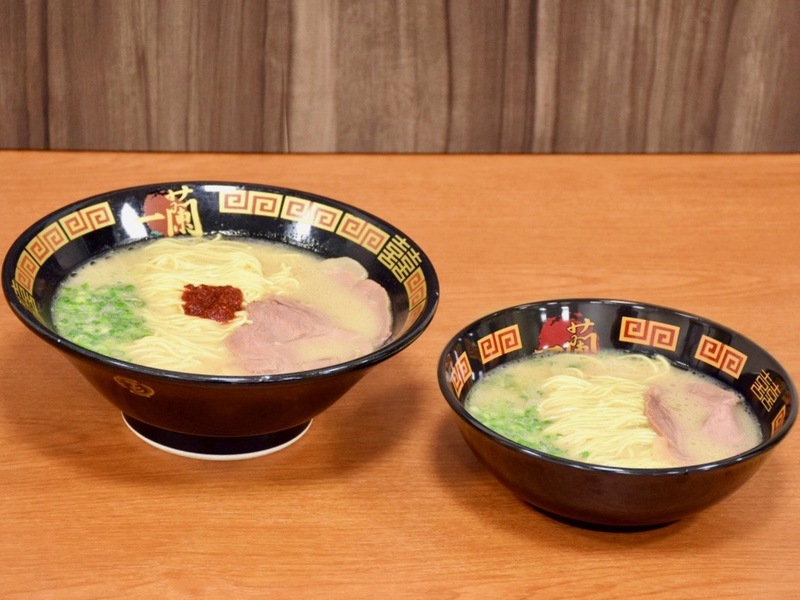 Ichiran Ramen has been serving tonkotsu noodles since 1960, so they know what they’re doing. There are always lines of people outside during lunch and dinner hours. I was fortunate to visit when there wasn’t too many people. 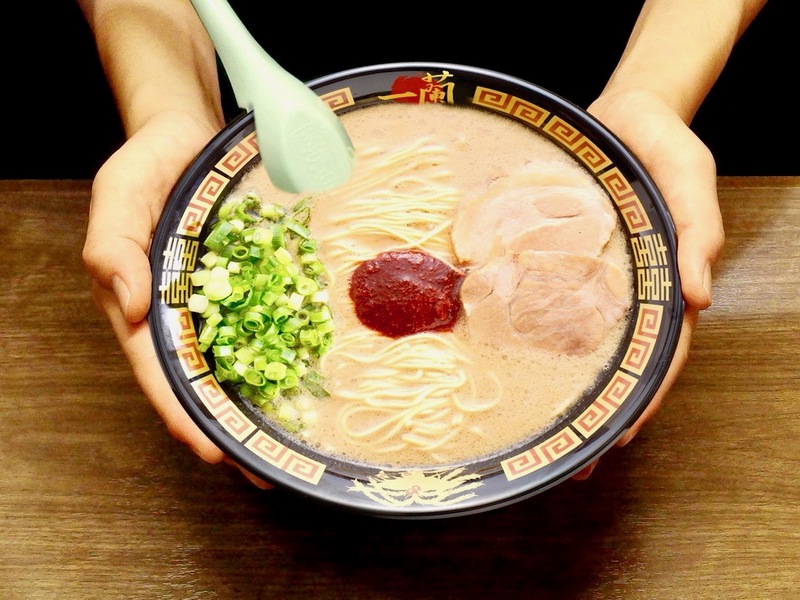 Ichiran Ramen has more than 60 locations all across Japan, but also serve their tonkotsu noodles in Hong Kong, Taiwan and the United States.